We just finished our third week of school. 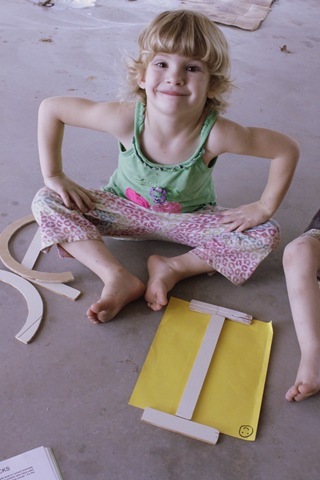 We learned the letter ‘I’ and Ivy demonstrates how to make one with the wood pieces Daddy and Papa Doc made for us. Flora just wanted to make a stripped “zebra” paper. 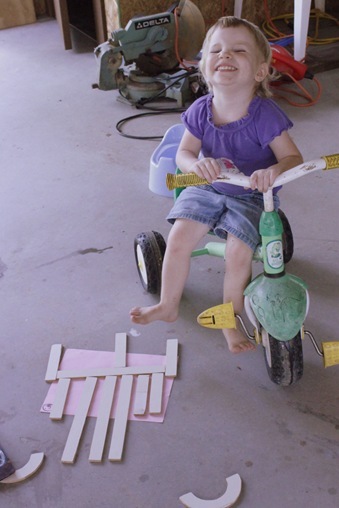 Her other favorite thing to make is “F” (wonder why?) and somehow in review, all her letters become an ‘F’. 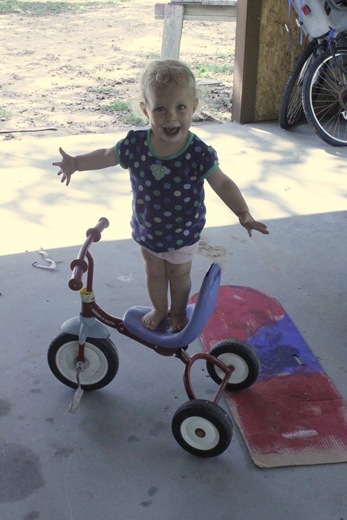 Eden just wanted to show off her balancing skills. The phonics lesson is that short “I” says “i for image” – part of the Christ centered curriculum someone gave to us. 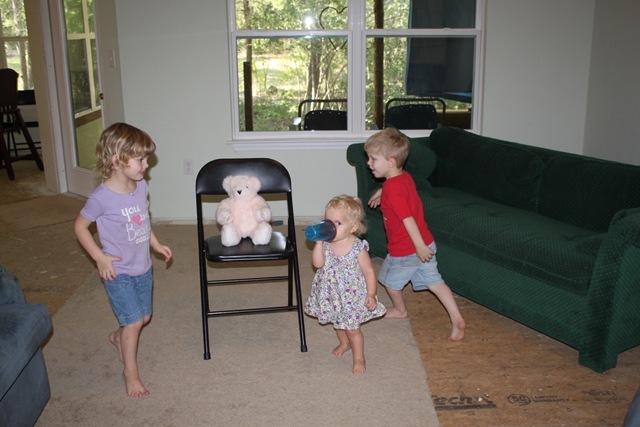 On Sunday Brian helped them act out the whole story of the golden calf. Here the kids are dancing around an image just like the children of Israel did with the golden calf. As punishment for their disobedience Moses ground up the calf and made them drink it. 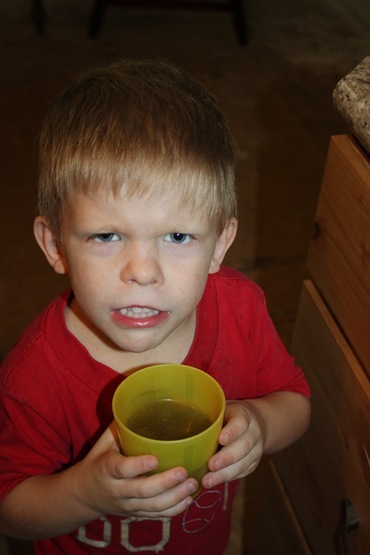 We used some wheat grass powder to make yucky water – Lance lets us know how it tastes. 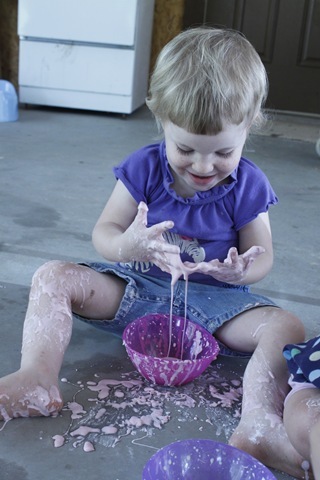 To enhance phonics drills, I decided to have the kids make “icky, sticky goo” out of cornstarch and water. This project was quite a hit! Lance with green slime. 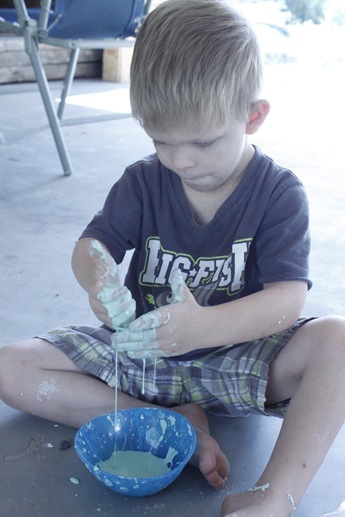 He was by far the cleanest but also very intrigued by the action of the goo – it can be hard or drippy soft just depending on how you play with it. 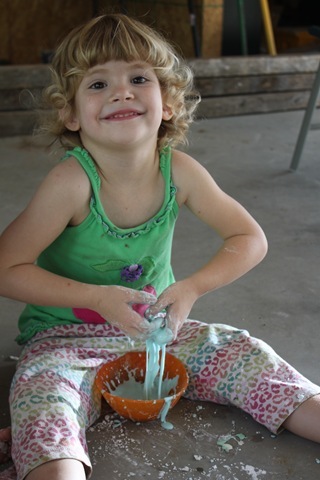 Ivy has blue goo – this activity was right up her alley! Don’t you just love the curls though! Flora chose pink – of course – and played by dripping all over herself and everything else for about ten minute. 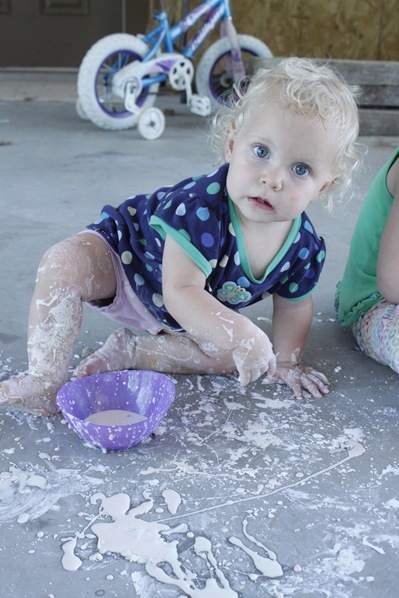 She was then distressed at being messy and spent the rest of the time playing with the hose to wash off. And Eden? Well, lets just say she had a grand time and kept it up longer than anyone. I think she is going to like school. 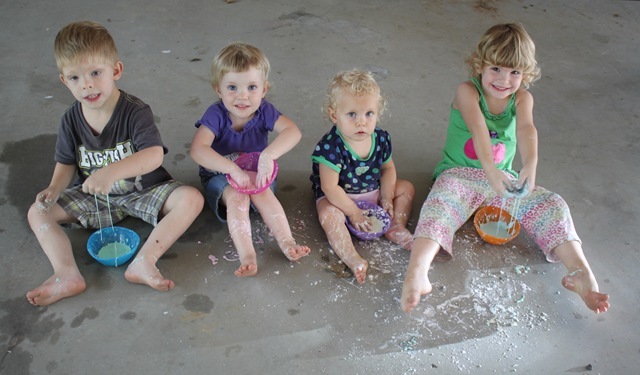 Better than mud pies. I wonder if any of them tried to taste the slime.